To get ready for the slippery greens at the Masters, Tiger Woods and Phil Mickelson have it easy: they just walk out the back door. Of course, there’s nothing easy about putting at Augusta National. But it can’t hurt to have complete control over the way you prep. And with seven green jackets between them, it’s clear these two have always found an Augusta edge. Woods and Mickelson each detailed their Masters short game prep in respective videos released Thursday. Woods sat down with GOLFTV’s Henni Zuel to talk out what makes his Masters prep different. “A lot of practicing my putting, short game, getting the speed down and really trying to play arcing break and literally just trying to hit the highest point possible to fall in the front lip, because you have putts there…I’ve had 10 footers that break eight feet. So it’s just seeing lines that you don’t normally see,” Woods said. 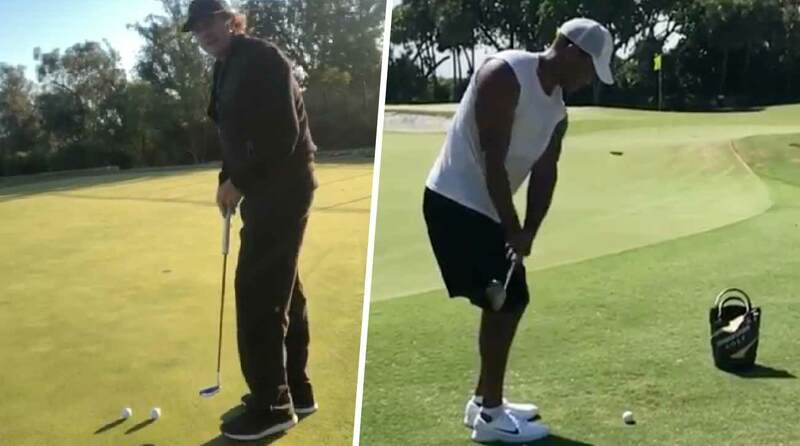 Tiger Woods and Phil Mickelson each have some killer home practice facilities. 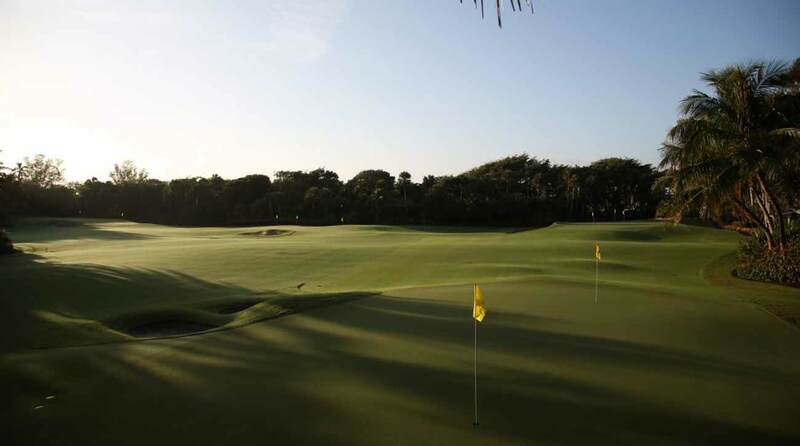 But Woods is the proud owner of the “Jupiter Island Practice Facility,” a backyard setup that any golfer would dream of. The 3.5-acre area features four greens, a variety of turf and sand and allows him to hit “almost any shot of 150 yards or less,” according to his website. Tiger Woods's backyard practice facility is something most golfers would dream about. Oh, and he has pretty close control over the conditions. “All we do is just get the sub-air going, double cut, double roll every day and we’ll get them up to about 14, 15 on the Stimp where they’re just baked out,” Woods told GOLFTV. “There’s really no friction, you know, when Bermuda gets that way there’s really no friction and it just rolls forever, where Augusta there is a little bit of friction to it. The first ball trundles over the front edge of the cup, while the second trickles to a near-stop before falling after it, too. In the end, Mickelson gets the nod for the more effective video (showing, my English teachers said, is always better than telling). But we’re guessing Woods’s video took fewer takes to make.